There is nothing interesting on tv. Woman is watching tv and changing tv-channels at home. 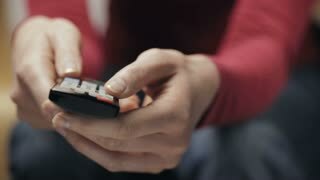 Closeup footage of a young woman changing TV channels with a remote control.